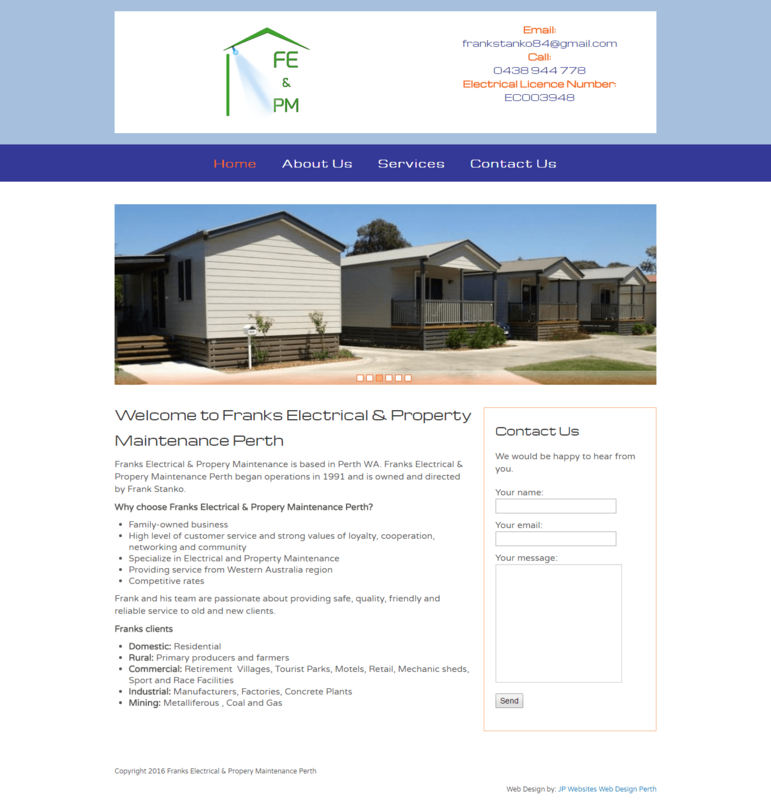 This website was designed for Franks Electrical & Property Maintenance. Being semi-retired, Frank wanted a simple, affordable website that customers would be able to browse and contact him through. We setup a simple html website for him with everything he needed to get started with a website online and which he is able to upgrade from.